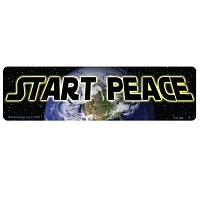 This is a double parody mixing a classic Jimi Hendrix quote into the Star Wars universe. 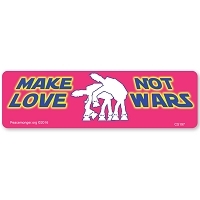 This sticker has a black backgdrop with a dancing ballerina Storm Trooper. 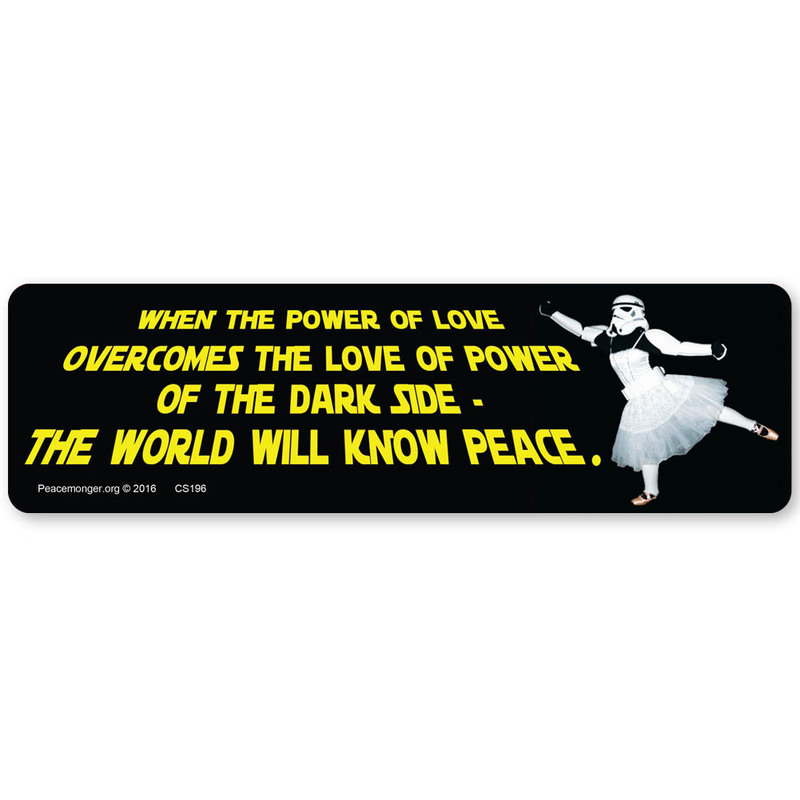 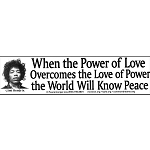 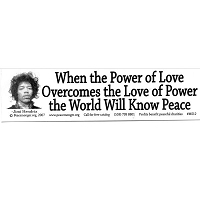 The entire quote reads "When the power of love overcomes the love of power of the dark side - the world will know peace." 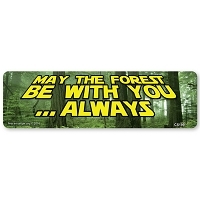 The lettering is a yellow Star Wars scroll.